PEARL HARBOR, Hawaii -- Japanese and U.S. cities marked the 70th anniversary of the end of World War II with a ceremony in Pearl Harbor. Mayors and city council members from Honolulu and Nagaoka, Japan, joined the U.S. Pacific Fleet commander on Friday Hawaii time to lay wreaths and unveil a new plaque. Fireworks in the shape of flowers were launched over the harbor afterward. Nagaoka is the hometown of the late Japanese Adm. Isoroku Yamamoto, the architect of the attack on Pearl Harbor that launched the U.S. into the war in 1941. 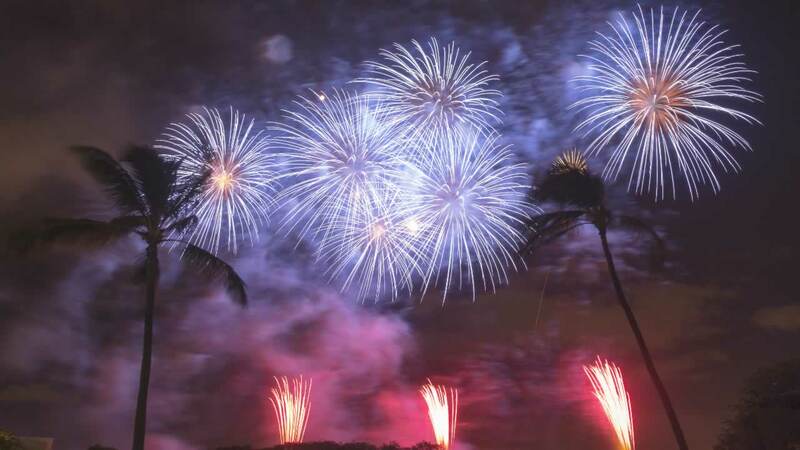 It is one of Honolulu's sister cities and is famous for fireworks. The fireworks display was held to honor the memory of the war's victims and celebrate 70 years of peace and friendship.